It was with a deep sense of sadness that I read about the death of Marie Catherine Colvin the respected war correspondent of Britain ’s “Sunday Times” 22nd along with a French photojournalist Remi Ochlik in Syria on February. Both were at Baba Amr, a suburb of the besieged city of Homs, when the house in which they had been staying came under artillery shelling “As they tried to escape the building, Colvin and Ochlik were hit by a rocket and killed,” a statement issued by the “Sunday Times” said. A Syrian photo journalist was also killed in the attack. “Any man’s death diminishes me, because I am involved in Mankind” sang John Donne the great metaphysical poet. The death of Marie Colvin diminishes the world of intrepid journalism. A world where she was undoubtedly the uncrowned queen. Marie Colvin made her mark as a journalist in Britain but was by birth an American.She was a frontline warrior for truth in journalism.Infused with a sense of daring and a zest for adventure Marie ventured into the troubled hotspots of the globe. She defied authoritarian regimes by circumventing controls and barriers and infiltrating war zones. Some compare Marie Colvin with the legendary Martha Gellhorn the legendary woman war correspondent who covered many wars and battles for several decades always keeping the plight of the affected civilians as her focus. Martha incidently was married for a few years to Ernest Hemingway. Martha and Marie were friends. It is said of war correspondents that they have to “Get in, Get it and Get out”. Marie did just that in many conflict zones from Chechnya to Bosnia ,From Sri Lanka to Syria . In Sri Lanka she lost an eye but in Syria she lost her life. She got in, got it but couldn’t get out. To her credit it must be said that she had the option of leaving like many other scribes but opted to stay on and report the travails of ordinary civilians in war situations.One of her final reports was a first person account of seeing a baby die. At a personal level her death is distressing to me because I was acquainted with her, communicating intermittently on the telephone and exchanging a few e-mails over a period of eleven years. I have never met her in person something I regret very much. She was an ebullient, refreshingly candid person with a lively sense of humour. Marie had an insatiable curiosity about many things. I admired her greatly for her courage, passion and devotion to reporting. Above all I recognized a kindred spirit in her empathy for the perceived underdog. Dickey covered the battles of Iwo Jima and Okinawa during world war 2. Later she was jailed in Budapest when she covered the Hungarian uprising of 1956. She gained fame by covering the Cuban revolution led by Fidel Castro which overthrew Batista.She died in 1965 in Vietnam while trekking with a military patrol when shrapnel from an exploding booby trap struck her neck inflicting fatal injury. I think Dickey Chapelle and Marie Colvin were of the same ilk and met their deaths while engaged in the pursuit of news. They died with their boots on. 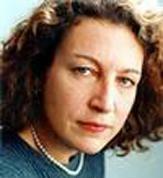 Unlike Dickey Chapelle, Marie Colvin played a role in Sri Lankan affairs. In April 2001 she was in Sri Lanka and had an appointment on April 4th with then foreign minister Lakshman Kadirgamar for an interview. In the meantime she tried to get official permission to go to the Wanni for an interview with Suppiah Paramu Thamilselvan the political commissar of the Liberation Tigers of Tamil Eela(LTTE) at that time. As was the norm then she was denied permission as the LTTE controlled Wanni was a “no go zone” for foreign correspondents. But Marie managed to get around that hitch by clandestinely infiltrating the Wanni through a jungle route north of Vavuniya with the help of the tigers.She failed to turn up for the scheduled interview with Kadirgamar. At that time the Government declared a five day ceasefire to coincide with the Sinhala-Tamil new year in mid- April.Marie Colvin utilised the ceasefire to re-enter Govt controlled areas. When she accompanied a group of people entering through the checkpoint at Parayanaalankulam on the Vavuniya-Mannar road there was an unexpected skirmish in which a grenade was flung at her. She was injured and lost blood.Her eyesight was impaired. The British High Commission intervened and got her medically attended to at Vavuniya military hospital. After surgery she was flown out to Colombo and then out from the country. Her commitment to get the story out was such that Marie Colvin filed a despatch of 3000 words to London from her hospital bed. Marie interacted with Sri Lanka again during the last days of the war in May 2009. She interviewed LTTE political wing head Nadesan on the phone and wrote an article about the pathetic predicament of entrapped civilians in the Mullivaaikkaal area. She also played an “extra-journalistic role” in trying to help arrange the safe surrender of some senior LTTE personalities and around 2000 civilians. She woke up the UN chief of Staff Vijay Nambiar at midnight and obtained an assurance from him on the matter. That characteristic humane effort by her proved unsuccessful in the end. The life and work of Marie Colvin is multi-faceted and a manifestation of exemplary bravery and commitment. It was by her on the spot reporting of events that contradicted the official version that she spoke truth to power. “Marie Colvin did not put her life on the line to win acclaim. Instead it was by being in the line of fire, by sharing the risks of those she was writing about, that she was able to produce her immensely powerful coverage of conflict’s human toll. She was doing precisely this when she was killed, telling the world of indiscriminate government shelling of “a city of cold, starving civilians”. Her eyewitness accounts were broadcast on CNN or the BBC because, though a staff reporter of more than 20 years’ standing for The Sunday Times, she was – as usual – the last journalist not to have fled. Such dedication and proximity infused her coverage with emotion. In Syria , she said government forces were committing “murder” and she described how she had witnessed a baby die from shrapnel wounds. She was never mawkish, but nor was she minded to stand idly by and witness massacres. In East Timor in 1999, for example, as Indonesian troops closed in on a United Nations compound in Dili where 1,500 people had taken shelter, the UN wanted to pull out and leave the refugees to their fate. Marie Colvin and two other female journalists remained in place, defying the UN, and the world, to do nothing. Eventually, shamed by the courage of the reporters, Indonesian forces allowed the refugees to leave and the international community stepped in. 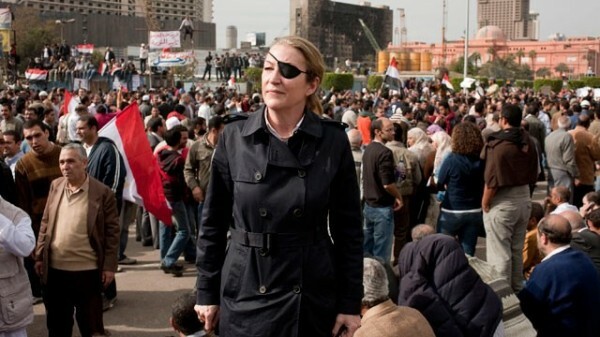 Marie Colvin’s presence had undoubtedly helped save many hundreds of lives. Marie Catherine Colvin was born on January 12 1956 in Oyster Bay , New York , to William and Rosemarie Colvin, both schoolteachers. Her father was a former US marine who had served in Korea , and he eventually gave up teaching to become a political activist for the Kennedy Democrats. Marie, who attended Oyster Bay High School and had an idyllic childhood on the Long Island seaside, soon demonstrated a campaigning nature too. To the disgruntlement of many conservative locals, she organised an anti-Vietnam demonstration in the streets of Oyster Bay, then created minor mayhem by designating her family home’s front yard an ecological recycling zone. She studied American Literature at Yale, where she got her first taste of journalism by working for a university newspaper. After graduating she began her career in unorthodox fashion by taking a job on the in-house magazine of the Teamsters union. Named “acting editor”, she eventually asked when the permanent incumbent would be coming back. Taken aside, she was gently informed that he would be away for five years, less with good behaviour. Moving to the press agency UPI, she was appointed to its bureau in Trenton , New Jersey . Finding it desperately drab, she based herself in the West Village of Manhattan and commuted to work, demonstrating a commitment to enjoying herself that endured as long as her compulsion to report. Her urge above all, however, was to become a foreign correspondent. She swiftly convinced UPI to promote her to the Paris bureau, where her dash, good looks and dark curls soon won her a host of admirers. Her break came in 1986, when she was in the Libyan capital, Tripoli , as America launched its biggest aerial attack since Vietnam . Filing copy while scrambling to avoid the explosions, she set a pattern that would last the rest of her career. It was while there she was summoned to meet the Libyan dictator, Muammar Gaddafi, and over the next quarter of a century she frequently met him, as well as many other political leaders and despots. But a peculiar effect of her beguiling character and her journalistic talent was that tyrants were charmed by her, and sought her out, even as she eviscerated them in print. Last year she published an account of her encounters with the late Libyan leader over 25 years. It was entitled “Mad Dog and Me”. While in Libya in 1986 she began freelancing for The Sunday Times, which soon lured her over full time to become its Middle East correspondent. Her exploits quickly attracted the attention and envy of less bold colleagues – a broad category. During the Iran-Iraq war, for instance, she smuggled herself in disguise into Basra , a city then completely closed off. In 1987 she reported from Bourj el Barajneh, the Palestinian refugee camp in Lebanon , which was under fire from the Syrian-backed Amal militia. There she met Pauline Cutting, a British surgeon who was a lone medical hero amid the carnage. The story was typical of Marie Colvin – illustrating a fearsomely complex conflict by finding the most dramatic, personal, story at its heart. At the same time she met and married The Daily Telegraph’s Middle East correspondent, Patrick Bishop, and they lived together in Jerusalem from the early 1990s. It was not a union based on typical domesticated bliss. While Marie Colvin might be reporting from Baghdad on the aftermath of the first Gulf War, Bishop might be covering the wars that erupted in the Balkans (where he was himself wounded). Marie Colvin herself reported from Kosovo, and freely admitted that she constantly weighed “bravery against bravado”. Around the turn of the century that balancing act took her closer to the edge than ever. First, in 1999, she scored her dramatic triumph in East Timor . Then, while the world was celebrating the new millennium, she appeared to have pushed things too far in Chechnya. She did not often require such assistance. And her time in Chechnya did not make her change her ways. Instead she was soon in Sri Lanka , as ever heading into rebel – this time Tamil Tiger – territory. As she tried to cross the front line back into government-held ground, she was hit by shrapnel in four places. Despite specialist surgery, she lost the use of her left eye and afterwards wore a patch. She promised that she would take things easier. But that was always unlikely. And as the US-led invasion of Iraq triggered the most dramatic events in the Middle East for decades, remaining on the sidelines became impossible. Soon she was back in the thick of things in Baghdad . There, as ever, she frayed editors’ nerves not only with her derring-do, but by filing her stories up to and far beyond deadline. Her copy was well worth waiting for, but the price to pay could be high. On one occasion in Iraq , her satellite phone link was not properly shut down and remained open overnight. It was never quite clear who was to blame, but to the amusement of other journalists, if not her paper, the bill ran to more than $20,000. Like many journalists who covered the Middle East , Marie Colvin welcomed the optimism of the Arab Spring. Though she knew that it would not effect an overnight transformation, she was compelled to see it through; where cynicism had blunted the determination of so many of her contemporaries, she remained unwearied. Agonisingly for those who knew and loved her, however, that meant the nature of her death had a certain inevitability about it. Marie Colvin, of course, did not see it that way. She loved life, and brought an American exuberance to the countless parties she graced over many years. From the Gandamak Lodge in Kabul to Harry’s Bar in Paris , she could be found at the heart of the conversation, cigarette and brimming vodka martini in hand. Sitting under the date palm in the garden of the American Colony in East Jerusalem , she would preside over the chatter and laughter as the balmy nights stretched on. Apart from reporting, she loved sailing. As a young woman she had worked at the local yacht club to save enough to buy her first boat and in recent years had revived her passion for the sport, buying a new craft and gaining a skipper’s licence between assignments. Those assignments no doubt contributed to her eventual separation from Bishop, and from Juan Carlos Gumucio, her second husband, who predeceased her. But all who knew her remained devoted to her. She is survived by Patrick Bishop and by her partner of recent years, Richard Flaye, whom she met while sailing”. The “Telegraph” obituary sums up the essence of Marie Colvin’s life and times but I want to conclude by posing the question – “Why do journalists risk danger and even lives by doing what they do”. Why do war correspondents undergo such hazards to get the “story” or picture? I want to let Marie Colvin herself answer it by reproducing an address by her in November 2010. It was at St.Brides Church in London at a special service of Thanksgiving and remembrance for all Journalists and staff who passed away in the line of duty in war zones. The gathering consisted of many leading notables in the journalistic profession and also her Royal Highness the Duchess of Cornwall. Marie Colvin”s address on that day is in a sense the best tribute to herself.Her words, given below, explain the motivation of the war correspondent and the importance of the job they do. In another sense it also applies to dedicated and courageous journalists in all spheres who report the truth and by doing so “speak truth to power”. Why do some journalists dare to offend powerful entities and personalities thereby risking and facing danger, death, assault, intimidation, imprisonment, disappearance, vilification, character assassination,threats etc . Why do they “do what they do” in the line of duty? I am honoured and humbled to be speaking to you at this service tonight to remember the journalists and their support staff who gave their lives to report from the war zones of the 21st Century. I have been a war correspondent for most of my professional life. It has always been a hard calling. But the need for front line, objective reporting has never been more compelling. Journalists covering combat shoulder great responsibilities and face difficult choices. Sometimes they pay the ultimate price. Tonight we honour the 49 journalists and support staff who were killed bringing the news to our shores. We also remember journalists around the world who have been wounded, maimed or kidnapped and held hostage for months. It has never been more dangerous to be a war correspondent, because the journalist in the combat zone has become a prime target. Billy Russell, as the troops called him, created a firestorm of public indignation back home by revealing inadequate equipment, scandalous treatment of the wounded, especially when they were repatriated – does this sound familiar? – and an incompetent high command that led to the folly of the Charge of the Light Brigade. War reporting has changed greatly in just the last few years. Now we go to war with a satellite phone, laptop, video camera and a flak jacket. I point my satellite phone to South Southwest in Afghanistan , press a button and I have filed. In an age of 24/7 rolling news, blogs and twitters, we are on constant call wherever we are. But war reporting is still essentially the same – someone has to go there and see what is happening. You can’t get that information without going to places where people are being shot at, and others are shooting at you. The real difficulty is having enough faith in humanity to believe that enough people be they government, military or the man on the street, will care when your file reaches the printed page, the website or the TV screen. I write to share your grief and pain over Maries demise. I am sorry I forgot to say…. I share my sadness and extend my condolences to Marie’s family and friends . those witnesses in total denial SHOULD NOT DELAY TO COME OUT . it is their duty to not only Tamils but also to mankind . other tyrants may follow suit . for the benefit of Tamils and also to send strong message to other tyrants. a real tribute to any person would be living up to his/her dreams and promoting his/her dreams. May brave Marie live in peace while I carry on her life long dreams of fight for defending the victims. Thanks DBSJ for this wonderful tribute to Marie Colvin. An amazing talent you have is to bring us close to the subject you are writing upon. No doubt she was a brave woman doing her own bit to bring peace through narration of what really goes behind censorship. May she find peace and happiness now. My sincere condolences to her mother and the loved one left behind. A voice of the voiceless is silenced for now; it is a sad day for those who suffers at the hand of oppressors, particularly those who trapped in war and similar situations. A big thank you DBS J for your writing, this timely tribute at the demise of a brave reporter, who puts her life on line when it comes to bring the truth out of such hostile places. It is well known that she is not the type of war correspondent who embedded with, and taken cover of, the forces that, more often than not, party to the destruction and sufferings and reporting the stories that they want to propagate. Instead, Marie C would go to the hot spot herself and stay the course with suffering people and sees herself what the war inflicts upon these people, this has been her style, which inevitably brought an abrupt end to her life. Hope her legacy will last for ever, and her next kith and kin can feel proud of her. Let me convey my heartiest condolence to those who survive her. We all miss you, madam. The fact she had to shed some bloods in our soil says a lot. Who will take her place to give voice to the voiceless ? The wars will continue… and the victims will suffer in silence…. Marie Colvin had been a good friend of my late brother Reynold in London. Marie was going to fight against the Rajapakse governemnt and had lobbied against the man killer Shavendra De Silva acquiring a high post in the UN Committee. Tamils lost a good frined and I believe the Rajapakses in Temple Trees will celebrate the death of their most fiersome adversary, Marie Colvin. May she rest in peace. I hope and prey she will have a re-encounter with my late brother, there was a time they discussed marriage. Thanks DBS for the article. I salute you Marie for your contribution to the voiceless people through the pen and your voice. very nice tribute to undoubtedly a very brave lady. Your work for the humanity will never go waste, your achievement can not be told in a few words. My cousin is doctor in Vavuniya. She told how Marie Colvin was brought for medical treatment. Army kept her in camp on ground for many hours as she was bleeding. soldiers also kicked and trampled her. She was saved only by Britain diplomats coming. Thank you DBSJ for sharing your thoughts and admiration in paying tribute to Mary Colvin. People who love humanity and human rights are shocked to hear about the tragic and unexpected loss of Marie Colvin. 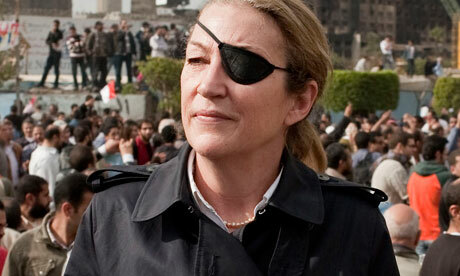 THANK YOU Marie Colvin for your tireless, brave, selfless, dedicated work on journalism, humanity and human rights. A simple thank you is not enough to express what you have done for humanity. You made the ultimate sacrifice to uphold the truth and gave your life to a profession you love so much. You will be living in the minds and hearts of billions around the world as long as humanity exists in this world. Our sincere and heartfelt condolences to her family, friends and larger circle of her peer journalists. We will badly miss you Marie. Your soul may rest in peace. THANK YOU AGAIN ON BEHALF OF MANY SUPPRESSED AND VOICELESS PEOPLE AROUND THE WORLD. DBS, Actually I came to know about Marie Colvin through your web. She was, an amazing lady with courage and a voice for the voiceless. We are going to miss hera lot. May she rest in peace. I never come across of any reports of her inside Vanni under the LTTE rule. Did she report anything about the atrocities of the LTTE anywhere? Marie Colvin is a brave Lady, a valiant protector of the oppressed . May her soul rest in peace ..
Death is not to be celebrated but Marie was never a free corresponded. She was part and parcel of the lies perpetrated by the western imperialism. This is how the most of the foreign media reports about the civil war of Sri Lanka. So the impartiality and the accuracy of these reports are questionable, and cannot be taken as gospel truth to prosecute the Government of Sri Lanka. My Deepest Condolences!!! to Marie Colvin’s Mum & Rest of the family!!! She was a Brave Woman! I went through DBSJ letter & found her to be a Great person. That we have Lost! Our Salute to U !!! Also with her To Remy Ochlic! we all sould pay tribute & the Last Respect!!! Eternal Rest Grant Unto Their Souls!! May Their Souls Rest In Peace!!! May their families receive the Consolation!!! Thank you very much Mr.Jeyaraj for writing this tribute to Ms Mariee Colvin who took journalism to the next level- saving the lives of people, conflict resolution and making the perpetrators accountable. This amazing,one of a kind human being deserves this tribute. The conscience of the world never decays because of the contributions by people like her. A few people can awake the collective conscience of the world with their reporting or writing, the Late Madam Colvin is one of them. A huge loss for our Tamil community at this critical moment. Marie Colin is a true journalist who respected human rights and sacrificed her life for journalism. She risked her life for journalism. We are very happy,about his death. 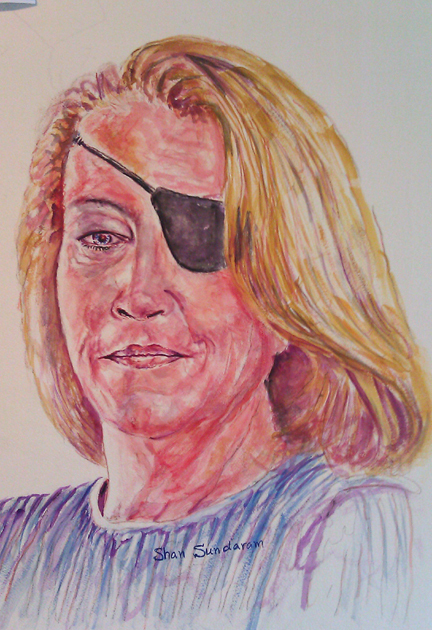 Marie Colvin made the ultimate sacrifice so that others may live in Syria and elsewhere. Aside from the extraordinary professional commitment that took her to troubled spots around the world in search of truth, her compassion for the unfortunate victims of the conflicts and wars made her an outstanding person. Her reports told the untold story. Marie stands tall and proud in the journalistic community for her relentless effort to separate the wheat from the chaff. The cruel fate of death has snatched a great human being, but the exemplary values she brought to bear on her work shall live forever. Just one thing keep troubling my mind is that why these western journalists do not venture out to report the numerous innocent people killed due to the wars waged by the NATO and U.S. in Irag, Libya, Afghanistan and and many other countries before them. I don’t know whether they actually report any such incidents to their respective editors, or that it were the editors who do not want to publish any negative reports against the interests of the western powers. All the negative reports as to what happened in those countries mainly come from other sources only, and not from these western journalists. And as for the loss of lives during fights, many innocent people who have nothing to do with war or nothing to gain from war situations got killed. If the real purpose of this journalist were to bring out the truth, then the loss of her life is lamentable. Otherwise, it was the folly of the journalist to stay at at place knowingly just for the thrill of being over adventurous! My comment may sound harsh for many who have made comments here, but I just want to say what I felt. If your intention is to just convey ‘ who u r to DBSJ, i am sure u could have sent a private email to DBSJ. You are an insult to Marie Colvin. Disgusting fellow. Please read the artical below and you will see the purpose of this lady were in sri lanka. UNITED NATIONS, February 24 — With controversy revived about Sri Lankan war crimes including the murder of surrendering prisoners, Inner City Press on February 24 asked UN official Vijay Nambiar to explain his role in these “white flag” killings, and if involved Major General Shavendra Silva should be a UN Senior Adviser on Peacekeeping. On camera, Secretary General Ban Ki-moon’s deputy spokesman insisted that Nambiar would not answer the question. Nambiar said “if necessary” he would answer afterwards. Video here, from Minute 18:15. She talked to me, you know that,” Nambiar said of Colvin. Inner City Press asked, hadn’t Colvin urged Nambiar to go witness the surrenders? With no witnesses, those who tried to surrendered ended up dead. Inner City Press asked Nambiar why he hadn’t then spoke out. Again Inner City Press asked Nambiar, if you passed on the assurances, then were blocked from going to witness and those you assured got killed, why haven’t you spoken out? A highly exagerated article on the life of this woman. She was undoubtedly a courageous, committed lady.God bless her soul. Marie was very fond of Sri Lankan food. She loved Sri Lankan culture, especially Tamil culture. She used to frequent a Sri Lankan restaurent run by a Tamil Gentleman. Aiyo Jeyaraj. Very sad to read this.Hariyatama touching aney oyage me tribute article eka. In a civilized society no human being will be happy about the death of another human being. Almost everyone in this world do various including some silly things for their survival. If someone is determined to make ultimate sacrifice to spare his/her life for what they believe is right, then absolutely no reason to suspect his/her dedication and sincerity. Despite few criminal elements within LTTE, whether you agree or not many LTTE cadres are sincere and dedicated to their organization, their leader and their goal. Marie might have come across many such committed LTTE cadres and realized she and those cadres have many commonalities, so she had nothing to complain about them. For Marie, she was in the same boat as many LTTE cadres. Both faced life and death and so much risk in carrying out their daily activities. This is the part not analyzed by many so called terrorism experts. WHY THESE PEOPLE RISK THEIR LIFE IN WHAT THEY BELIEVE IS RIGHT? I think , It suffientely clarifies your above comments. If you are a real peace lover, the very theme of your comments would have been different. Dear DBSJ – You are trying to show Marie Colvin as a great champion for just causes. Better try to report or allow the opinions of others in full. If you delete my opinions partly or full do not make any sense. You behave like a sensor board member and not a journalist. Comments will be moderated and I will exercise the right to edit, delete or release comments.These are the rules governing this blog.It is up to you to post or not post under these rules.Sensible views will not be edited or deleted.Do not misuse the word censorship here. 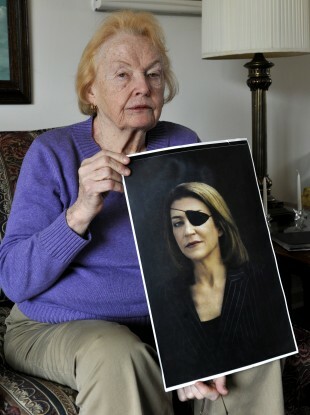 Thank you Mr. DBSJ for this tribute to Marie Colvin. She was indeed a noble person and a fearless writer! Thank you so much for the Great Tribute through your fabulous article to MARIE COLVIN, a wonderful woman who lived with compassion towards humanity until her very last breath! Yes it should have been an adventure journey for Marie to Vanni at that time through Pallamadu and Madukkovil for more than 9 hours in the tick jungle (Not an imagination, personally experienced). SPT was over the moon after meeting her in Vanni and there starts the peace talks I believe! May God comfort her family and let her soul rest in peace. Similarly, Peacelover, it must be asked WHY DID MANY REFUSE TO RISK THEIR LIVES AND WHY WERE THEY FORCED TO DO SO AT GUNPOINT? No matter who we are, we all must respect for your works! When we ran away from war to safe places, you went to war-place(s) hoping to save some lives… May you rest in peace. So it was the srilankan government that tried to kill her.Unlike the syrians who were killing everyone including her,in this case our government deliberately specifically targeted her.If they had been sucessfull they would have manufactured a story that a fight broke out and unfortunately she got killed.Because she survived the world knew that the soldier threw a grenade at her and knew exactly what he was doing.The five day ceasefire would also have been a ploy buy the srilankan government to trap her into coming back into the government controlled areas. Thank Marie Colvin for the great services rendered to humanity. My heartfelt condolences to the loved ones of Marie Colvin, let her soul rest in peace . Shan- Thank you for rendering her lovely portrait. DBSJ – Thks for your space to express our personal sentiments. « Is the TNA response to LLRC Report politically correct?